The history of Ukrainian Border Guard Day dates back to the Soviet times. On May 28, 1918, the Council of People’s Commissars issued a decree establishing the State Border Guard of the Russian Soviet Federative Socialist Republic. Following the creation of the Soviet Borer Troops, May 28 was declared as Border Guard Day throughout the Soviet Union. After the dissolution of the Soviet Union, several of the former Soviet republics continued to celebrate May 28 as Border Guard Day. They included Russia, Belarus, Kyrgyzstan, Tajikistan, and Ukraine. However, Ukraine has changed the date of its Border Guard Day after the events of Euromaidan, a wave of demonstrations and civil unrest in late 2013 and early 2014, which resulted in the 2014 Ukrainian revolution. In April 2015, the new government started a formal decommunization process, and many holidays that had been established during the Soviet times were canceled or moved to another date. On April 2018, the Cabinet of Ministers of Ukraine approved a presidential decree declaring May 6 as the new Border Guard Day. Such a date was chosen because on this day the Orthodox Church celebrates the feast of Saint George, who is considered the patron saint of the State Border Guard Service of Ukraine. 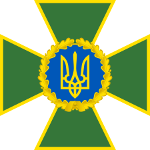 The State Border Guard Service of Ukraine in its present form was created on July 31, 2003 after the reorganization of the country’s border troops. It is an independent law enforcement agency responsible for protecting the state border of Ukraine, as well as the country’s sovereign rights in its exclusive economic zone.